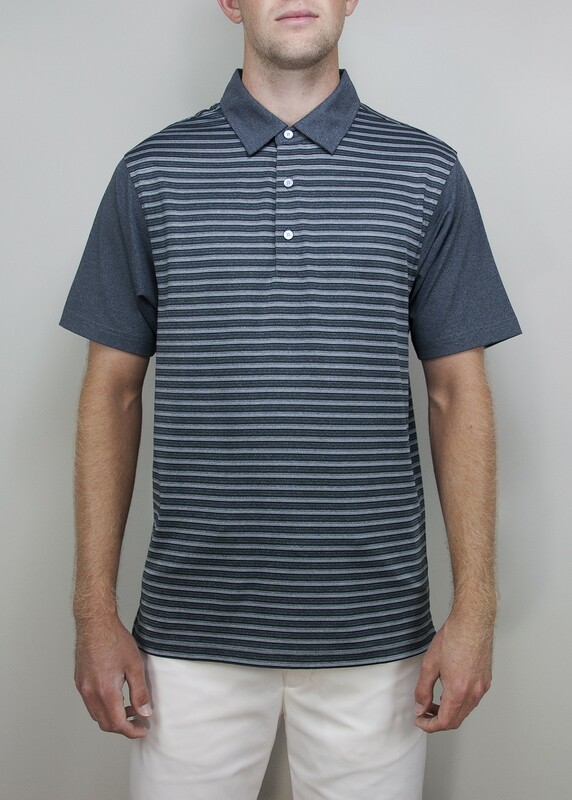 The GREER polo is the signature shirt of our Betenly Golf Collection. We took the same high-performance 92% polyester, 8% spandex melange yarns, featured in our solid WESTON polo, and used them to create a fresh new stripe design. Vertical striping detail on the soft, self-collar finishes off this new modern-classic look. Tonal-color Betenly logo embroidered on back yolk.